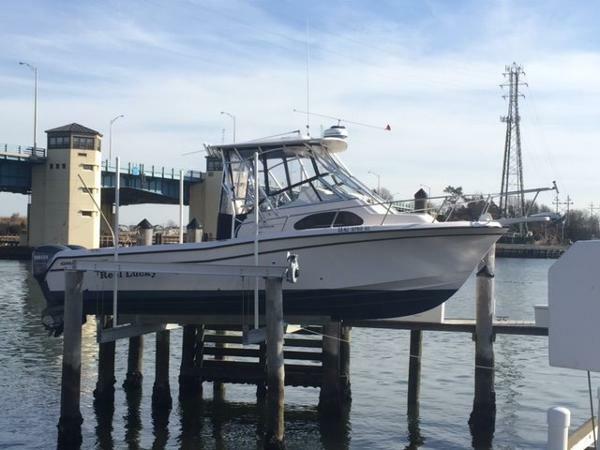 2006 Grady-White 282 Sailfish WA 2006 Grady White 282 Sailfish that was re-powered in 2014 with twin 250 Yamaha's that only have 135 hours. Very clean vessel that just received it's 100 hour service and full detail. 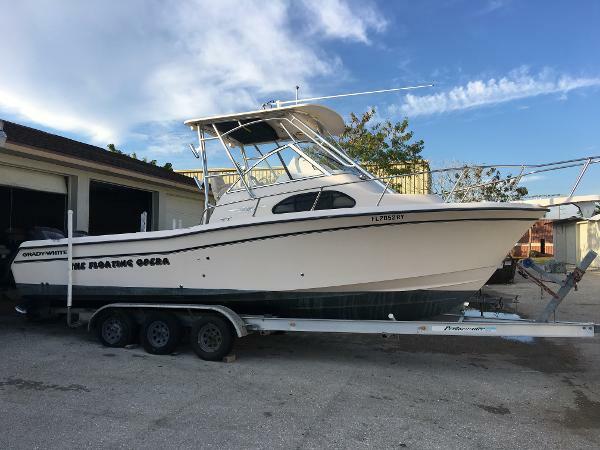 2003 Grady-White 282 Sailfish WA Watch our very informative 5 minute video of this boat running - in the water on a plane - in the Photo Gallery at our website This 2003 Grady White 282 Sailfish is powered by twin 225hp Yamaha four stroke outboards. 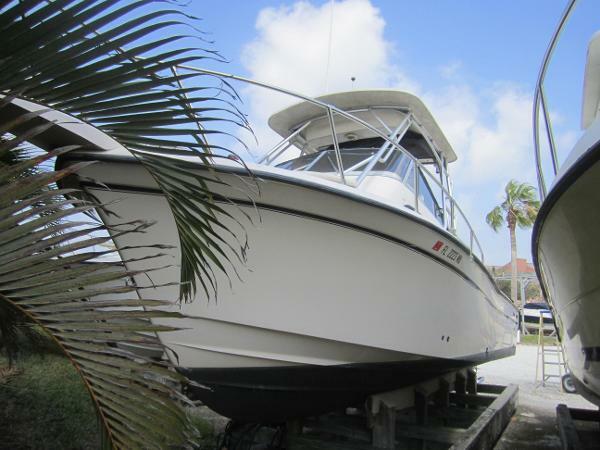 This is an original owner boat that has always been dealer maintained. Hours on the engines are just over 1000 hours - that's about 85 hours a year. 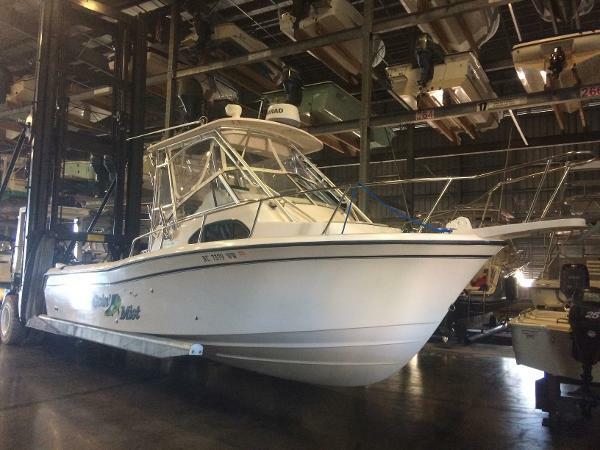 Features include: all of the factory options including air and heat, hardtop, full canvas, electric windless anchor, spreader lights, upgraded radar unit, color GPS, auto pilot, tilt steering wheel, dockside power, interior and exterior of this boat is in pristine condition. One more goodie - she has NEVER been bottom painted! This by far, is the cleanest boat we have received this year. Lots more included in this one, but you get the picture. We also have a 2008 WESCO aluminum triple axel trailer available if you're looking to trailer this offshore machine. Stay tuned for pics and our video coming very soon. 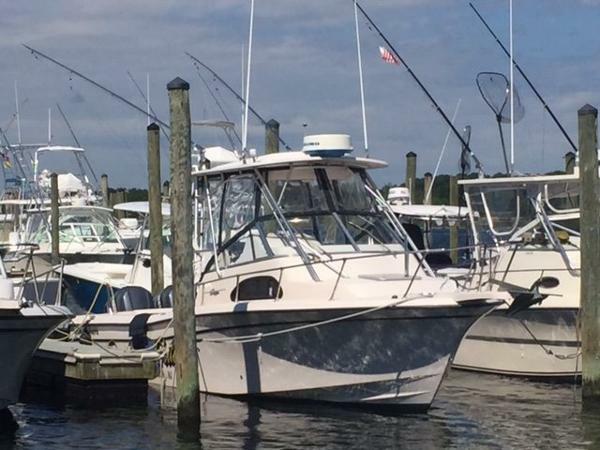 This one will be priced at the lower end of comps so be ready if you are interested.... For more information on this listing call Mike Fierstein @ 410-391-2333 ... ANYTIMERemember - we sell boats for less - guaranteed, and we do take trades! !Watch our video in the Photo Gallery! For finance info and to see our purchase policy, hit the FAQ tab on our Website.Attention Overseas Customers: We Provide Free Delivery To The Port Of Baltimore. 2006 Grady-White 282 Sailfish WA Looking for a high quality walk around style boat that you can get out to the islands and overnight? Maybe just some shade for the little ones or pets to extend your days on the water? 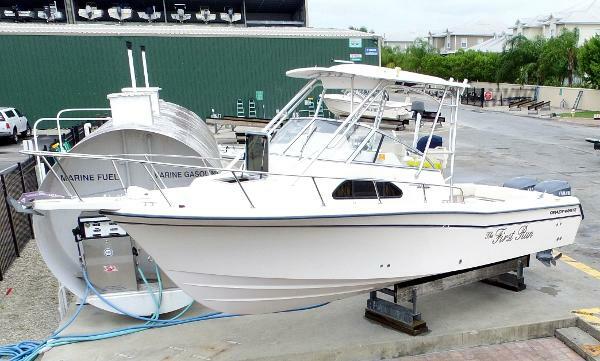 This is a one owner 2006 282 Sailfish walkaround made by Grady-White. 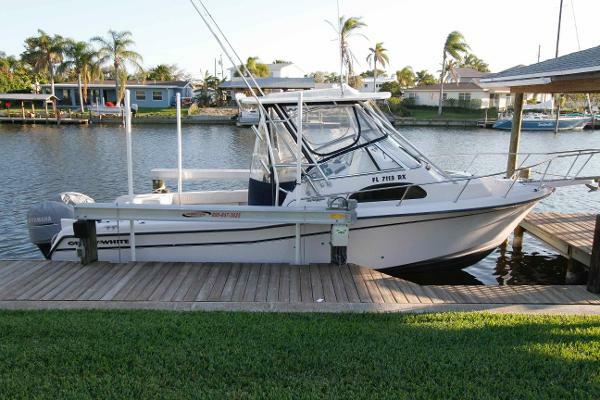 The boat has a great layout whether you fish, cruise or just relax. The boat has a hardtop, folding rear seat, captain chair at the helm, lounge on passenger side, rear facing seats and even bow cushions. The cabin has enclosed head with shower, sink, stove, fridge, mocrowave, wood table, and sleeps 4 with the rear berth. 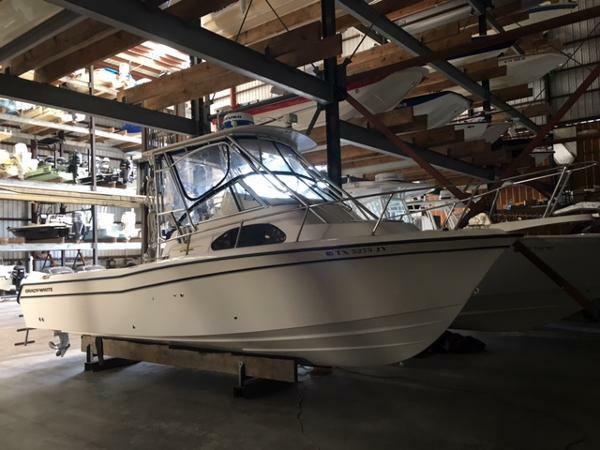 The boat is equipped with compass, Garmin 3210 color 10" GPS/Fishfinder, Icom 302 VHF, Clarion CD stereo with dash remote, sub and speakers, and remote spotlight. There is a dive ladder, live well, fish boxes, and tackle storage too. TheYamaha F250 four stroke engines only have 300 hours on them too! The price includes a Continental triple axle trailer. 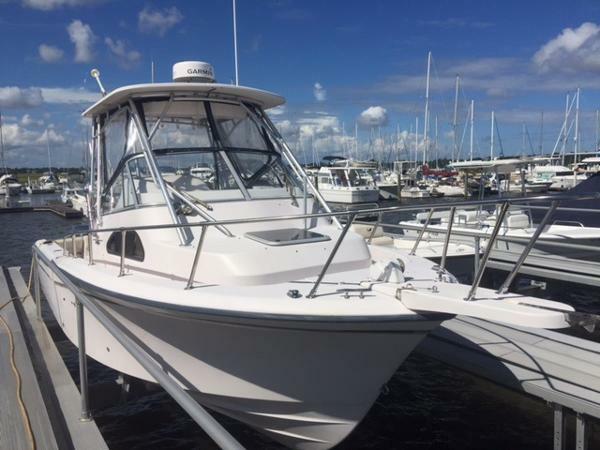 2004 Grady-White 282 Sailfish WA Super clean 2004 282 Grady with new Simrad electronics, new outriggers, new helm chairs, updated ivory stamoid curtains and stored indoors since new! 800 hrs. on engines. Won't last! Call today! preliminary listing. 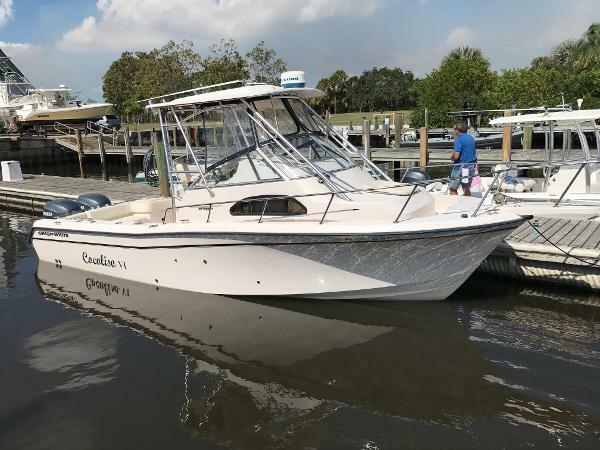 2002 Grady-White 282 Sailfish WA - VERY CLEAN 2002 GRADY WHITE 282 SAILFISH, WITH TWIN F225 YAMAHA (ALREADY HAS TUNER KITS DONE), VERY CLEAN, HARD TOP, BATTERY CHARGER, NEWER CUSHIONS, NEWER CANVAS ENCLOSURE, WINDLASS, WASHDOWN, LIVEWELL, FISH BOX, TRIM TABS, NORTHSTAR 952X, SI-TEX CVS-106L, FURUNO RADAR, B&G DEPTH, KENWOOD STEREO, MICROWAVE, REFRIG, STAND UP ENCLOSED HEAD WITH SINK, OUTRIGGERS, COCKPIT SINK AND BAIT STATION, ETC. 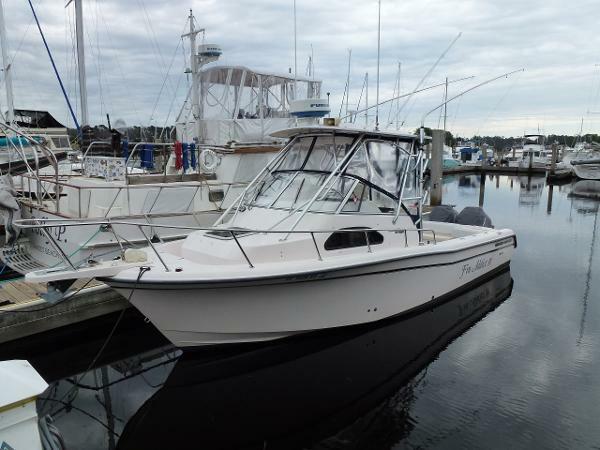 2007 Grady-White 282 Sailfish WA Nice 4 Stroke equipped 2008 Grady 282 Sailfish . 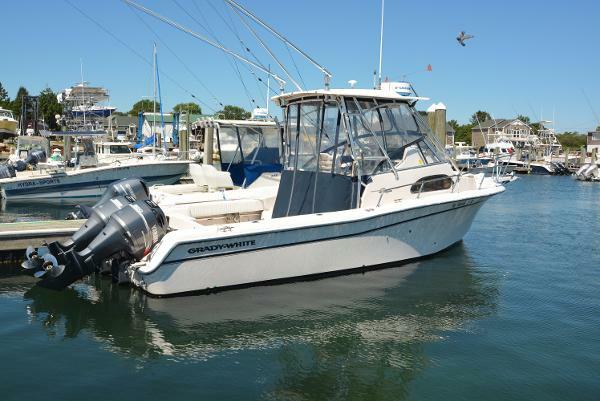 This one has a Raymarine E120 system with Radar and Simrad Autopilot . Its Yamaha 250s have just below 200 hours at listing time . 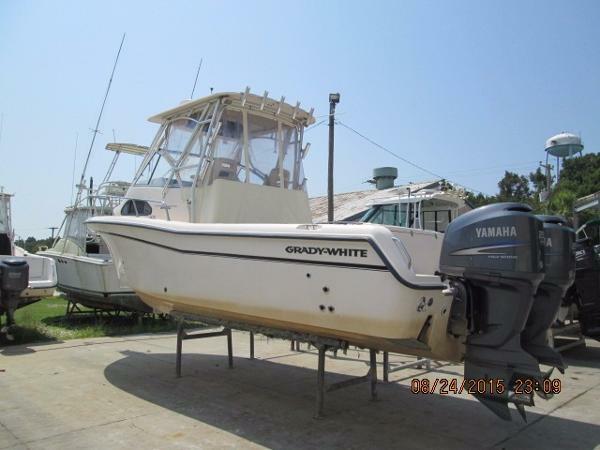 She has all the amenities Grady Whites are known for including Marine Air A/C , Full galley , TV , Stereo , Water Heater,and Full Enclusure and Enclosed Head . 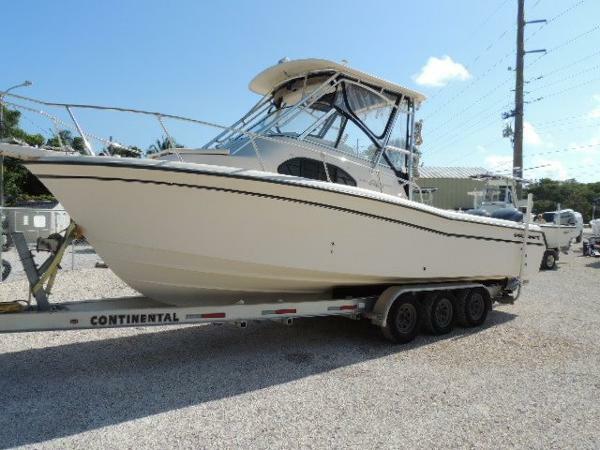 Please call or e mail for an appointment to see this nice 2008 Grady White 282 Sailfish.